Professional Materials Handling supplies engineered solutions with local sales and service support offered via numerous independant dealers. Founded in 1972 with the primary focus on system sales. PMH has a long established history of support and the distribution of quality material handling equipment imported from Europe. Our goal is to offer an engineered solution to your material handling problems. 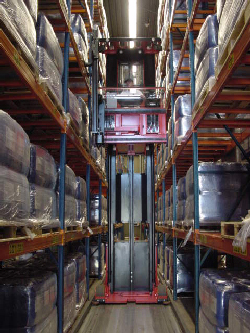 Narrow aisle and long load handling require special attention to warehouse design and product details. Let our sales engineers assist you with your application. Your never far from assistance with PMH.